Without question skiing is the best kind of holiday you can ever go on. I still remember the first skiing holiday I went on when I was five and since then I have fallen in love with it. As a young kid I was absolute fearless flying down the slopes with the rest of my ski school, nowadays I am a bit more careful! One thing that hasn’t changed is the feeling of freedom, adventure and fun that every ski trip brings, especially when you use a company like Alpine Elements because those guys have taken my holidays to a whole new level. I am sure some of you guys will have been skiing before, for those of you that haven’t here are 10 reasons why I think you should all do it as soon as possible. Skiing is amazing, plain and simple! When you’re out on the slopes breathing in the fresh air, you feel your batteries recharging and invigorated. The idea of any holiday is to forget about the hustle and bustle of work, when you’re flying down the slopes all of those stresses seem million miles away. You won’t find a better feeling that gliding along the snow covered pistes. You don’t need to have a background in medicine to know that there’s a link between the health of your body and mind. Skiing is great for your body, it works your core muscles, improves both your posture and balance, plus it will increase your overall body strength. What better way to exercise during the winter months can there be? The winter months are never fun back home, so instead of being crammed into a packed gym, hop on a plane and work out on the mountains. Enjoyment, fresh air plus a workout – the ideal holiday! Have you ever notice that daily life seems so busy we often forget to catch up with family and friends? 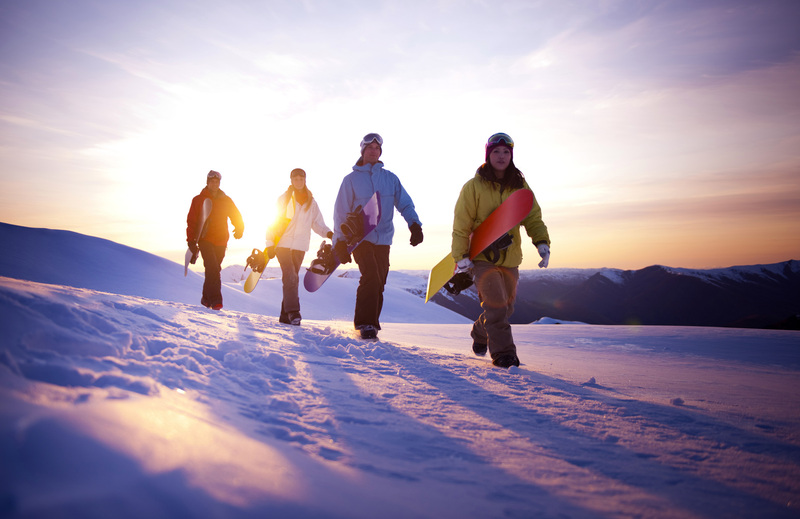 A ski holiday gives you the ideal opportunity forget about the office and spend quality time having fun with the people closest to you. The bonding doesn’t begin on the slopes, it actually starts when you’re having fun choosing which gear you’re going to wear. But, when you are on the mountains, experiencing new things, adventures and challenges with one another you become closer than ever. When you get back home you’ll have endless nights discussing the fun you had and that time your buddy thought he was a pro and ended up face down in the snow. Traveling to a place, in this case a ski resort, where everyone is there to have loads of fun is so enjoyable. Going skiing means that you can leave your stresses back home and focus on one thing – having a lot of fun, that’s what everyone else will be doing too! When do choose a place for your holiday make sure that you go for all inclusive or full board. You don’t want to worry about the pots and pans when you should be out having fun on the slopes. Food is such a huge part of the whole ski experience, each day you need to fuel up so you have energy to ski all day and then recharge when you get each night. You’ll definitely love the on-piste restaurants which have the most amazing views I have ever seen. 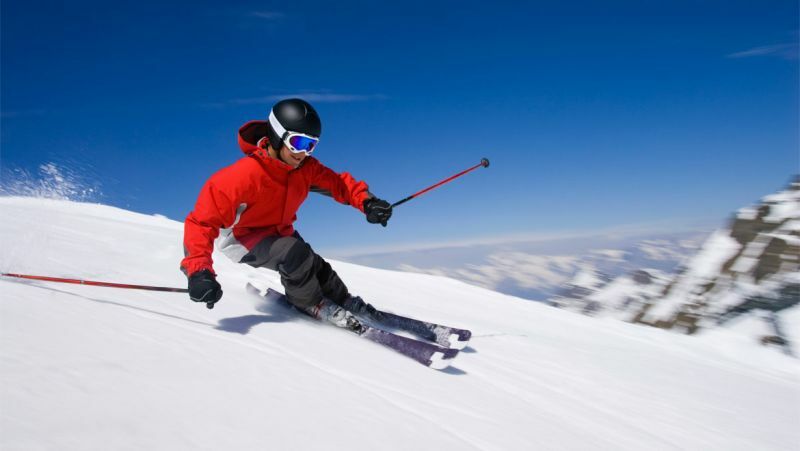 Skiing, as I have mentioned a lot above, is absolutely thrilling and you are definitely going to have a lot of fun on the slopes. When you’re not skiing I guarantee that you’ll have just as much fun! The ‘apres ski’ activities are something I really look forward to; live music, fancy dress, top restaurants, fireworks, outdoor movies and dancing, are just some of what you can expect. Everyone is there to have fun remember! And everyone certainly carries the fun feeling long in to the night – every night! One of the best ways to make new friends is to have something in common – in this case it’s skiing. 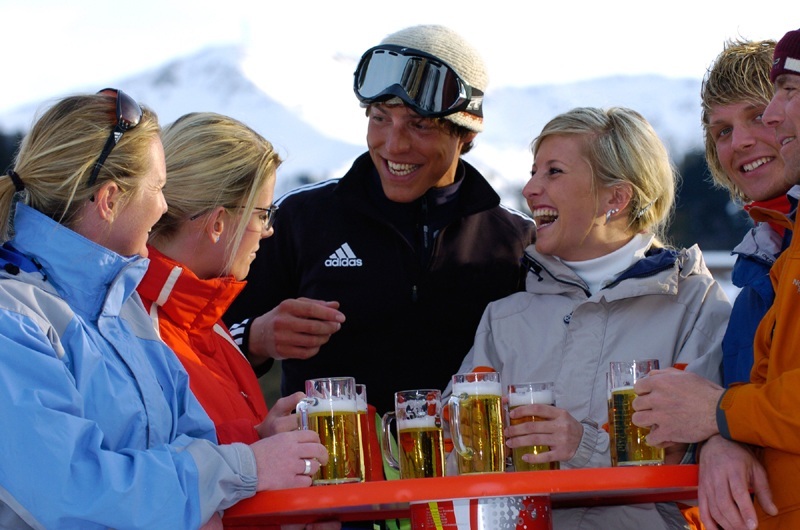 On a ski holiday you will find yourself making new friends absolutely everywhere. When you get on a chairlift to head up the mountain more often than not you’ll end up chatting the people next to you, and you’ll have a great conversation if you’re heading on one of the huge chairlifts you see. I really enjoy chatting to fellow skiers, not only because they love the same sport, but also because they can be from a different country, have some fun tales to tell, recommendations where to ski or have dinner, and most of all they’re always in a good mood so the conversation flows effortlessly. If you don’t make new friends on the chairlift I am sure you will when you’re in a bar. That’s where I tend to bump into veterans of the resort, these guys are super knowledgable and always willing to help people out. I have had seasoned pros give me tips on how to improve plus share local secrets about some great off-piste routes. 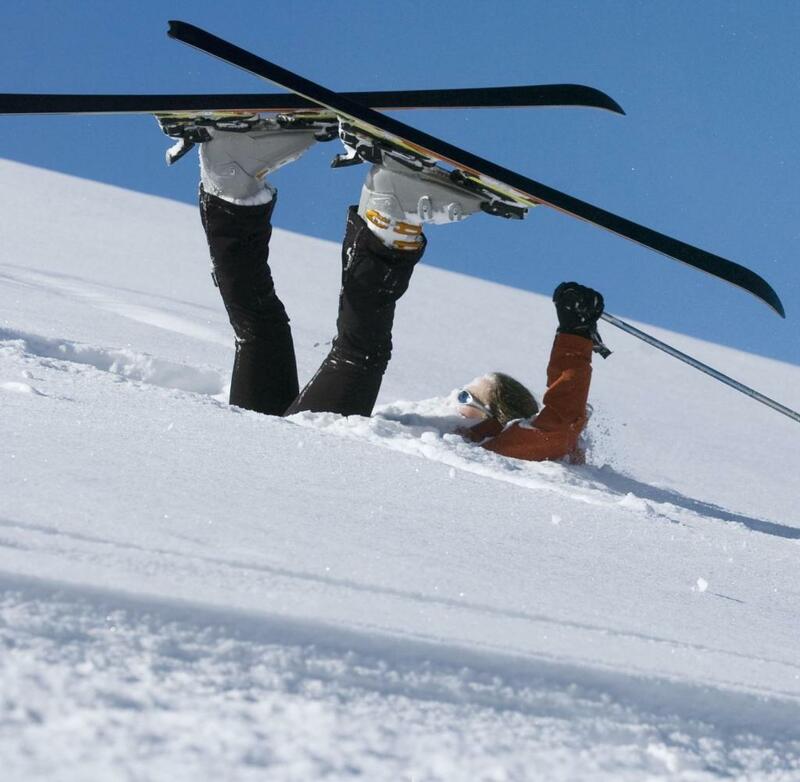 When you go skiing it doesn’t matter if you’re a complete novice or a veteran of the slopes. 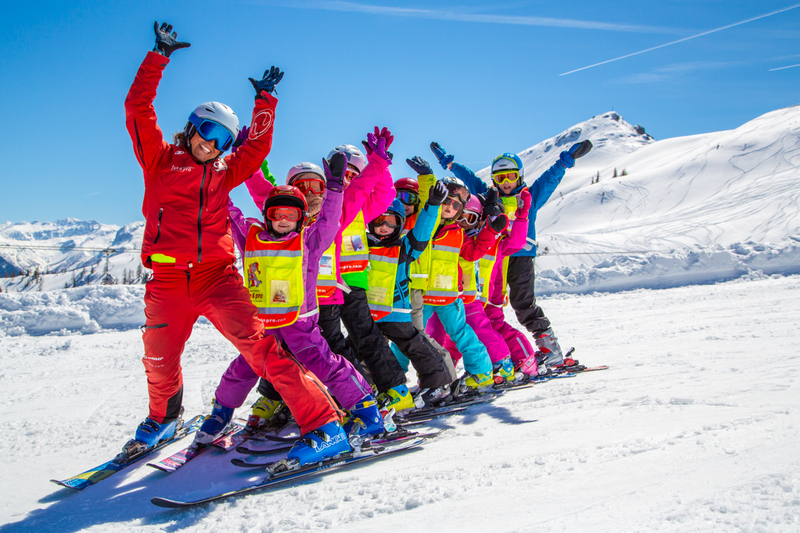 If you’re new then you have nothing to fear because you can take lessons with some truly remarkable ski instructors – these guys have to go through some rigorous tests before they are allowed to teach, so you know they’re going to be top class. If you’re more advanced then a teacher can skill improve your skills but more than that they act as a great guide to make sure you get the most out of the mountains. You can always swap the skis for a board too. Snowboarding looks super cool but can take a little time to master, it is however really great fun. If you go along with a few mates of the same skill level for a day long lesson, it’ll be full of laughs and maybe a few spills. Have you been skiing before? I would love to hear all about your tips, experiences and tales. I think it’s great when we, as a travel community, can share with others to inspire and help. All you need to do is pop your thoughts down in the comment section below. I am really looking forward to reading everything you want to share.